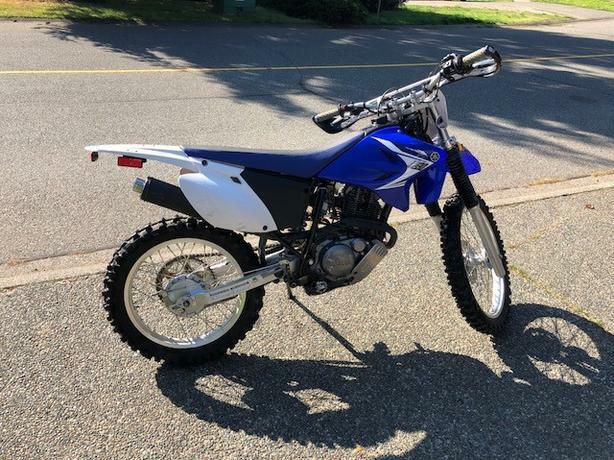 I Am selling my wife's Ttr 230. It has barely been used. We are the second owners and it is in excellent condition. Has a scorpion skid plate and bark busters. Please watch the link to this youtube video walk through of the bike. The previous owner was a mechanic at a motorbike shop. His girlfriend rode it a couple times and fell and never rode it again. It has about 25 hrs on it max and the nubbies literally most wore off the tires on its last ride. It has never been ridden hard. Reason for selling is my wife never uses it.